As San Diego County's premier company for high quality custom designed crating products, Tri-City Crating and Packing has been providing its clients with exceptional customer service for over 20 years. 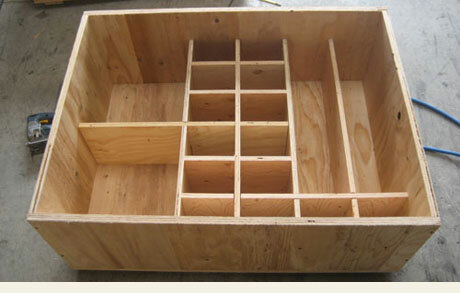 We specialize in manufacturing custom designed and fabricated crates, boxes, pallets and skids. When a company uses the word "custom," it usually means their product is more expensive. This is not the case at Tri-City Crating and Packing. Our custom designed and fabricated crating products are not more expensive just because they are custom made. We are dedicated to manufacturing our cost-competitive products based on the needs of our clients. Each product is highly engineered and securely built to ensure cargo quality and protection. Our skilled professionals will visit your facility or residence, take measurements and make assessments, and then enter the information into our advanced computer program. This program, which is based on military specifications but customized for crating manufacturing, accurately designs and prices all of our shipping containers. It is our goal to provide you with exceptional products and timely, efficient service. Call us today to speak with a friendly, knowledgeable crating specialist.